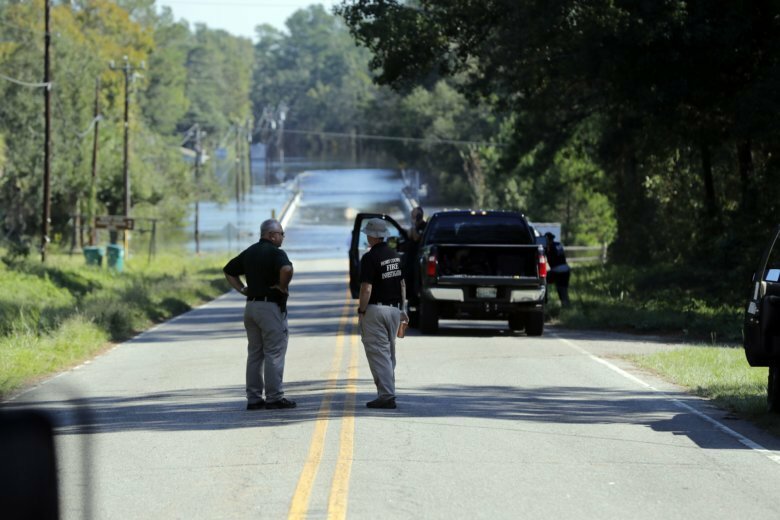 COLUMBIA, S.C. (AP) — South Carolina deputies — after being waved through by National Guardsmen — drove a transport van around a barricade blocking a flooded road shortly before two mental patients drowned inside, authorities said Thursday. Horry (OR-ree) County Sheriff’s Office spokeswoman Brooke Holden told The Associated Press that guardsmen allowed deputies to drive around a barrier the night of Sept. 18 because they were in a law enforcement vehicle. State police opened a probe after the women’s deaths on a flooded Marion County road. Deputies were transporting the patients as part of a court order as flood waters rose in the area from heavy rains unleashed by Florence. The powerful tropical system smashed into the Southeast seacoast as a hurricane Sept. 14, triggering severe flooding as it weakened yet nearly stalled over the Carolinas for days. The two deputies worked to free Wendy Newton, 45, and Nicolette Green, 43, but were unable to save them from the back of the van, Horry County Sheriff Phillip Thompson has said. Rescue crews needed about 45 minutes to find the van, which was underwater at that point, and plucked the Horry County deputies from the roof, the sheriff said. Officials said the van was in Marion County near the Little Pee Dee River, one of the bodies of water state officials had watched closely after Florence. The deputies have been placed on leave, and Thompson is also conducting an internal investigation. Lt. Col. Cindi King, spokeswoman for the South Carolina National Guard, said she could not comment on the incident during the ongoing state police investigation.